If Yorkshire is going to tackle its skills shortage, regional firms shouldn’t overlook the value of upskilling workers from entry level, argues Parseq’s Craig Naylor-Smith. Yorkshire is grappling with a skills shortage, driven by factors such as an aging workforce, the emergence of increasingly specialised job roles and talent from our universities migrating south to London. Recent research from the Sheffield City Region has found a lack of desired skills amongst candidates to be the leading reason for unfilled job vacancies, ahead of both experience and salary demands. The skills deficit is contributing to a wider issue of low regional and national productivity, but crucially, it is also preventing companies across Yorkshire from capitalising on potentially lucrative opportunities for growth. And with Britain’s forthcoming exit from the EU holding the potential to exacerbate the shortage of skilled workers, it is even more important that businesses consider new strategies to access the talent they need. Attempts to tackle the problem have so far centred around providing education and specialist skills training at the secondary or tertiary level. But while flagship regional initiatives such as the new National Technician Development Centre in Sheffield offer a powerful centralised option for skills training, they may not match the specific skills requirements of individual businesses. Firms should therefore not overlook the benefits that providing training to employees from entry level up within their own organisations can offer. This approach equips staff for skilled leadership positions in the future, and can deliver a tangible return on investment. A key strength of internal skills programmes lies in their flexibility. Managers can control the delivery of internal training programmes to complement a team’s rate of progression, avoiding team downtime by delivering initiatives built around workloads and specific organisational structures. Internal learning and development programmes can also be tailored to contribute to the success of a company’s growth plans, helping to deliver maximum return on investment and directly addressing the pattern of skills shortages unique to each business. But what is particularly powerful about this approach is the opportunity for staff members to gain skills that prepare them for leadership roles within their organisation, delivering training that supports a colleague’s professional development and ensures an even spread of skilled management staff throughout an organisation. 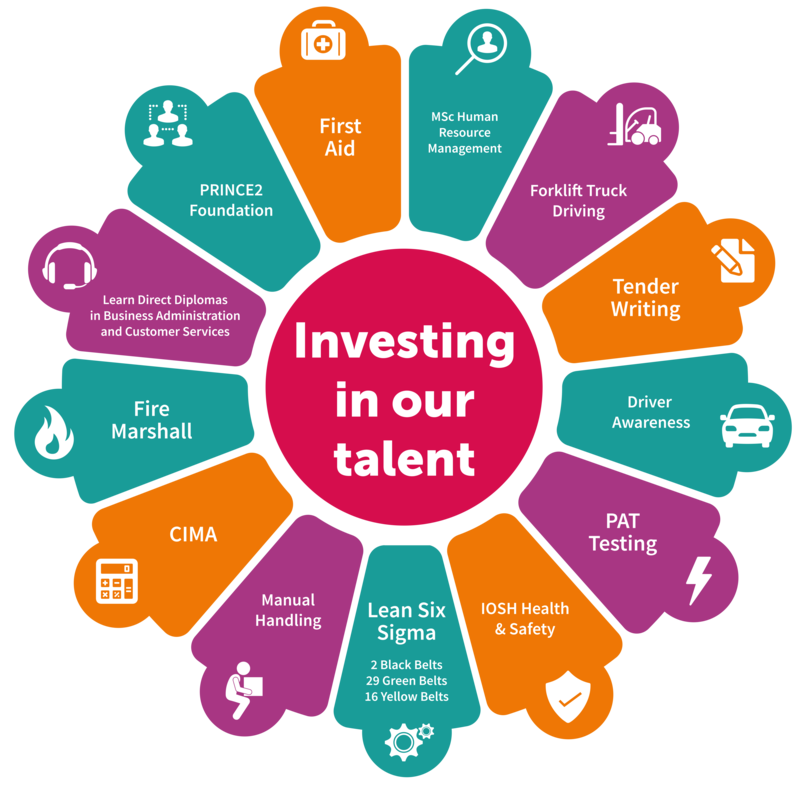 Over the last three years our Finance and Administration division has invested more than £62,000 in internal skills programmes preparing team members for leadership opportunities. These range from management initiatives such as Six Sigma Black Belt courses to CIMA-accredited accountancy training. 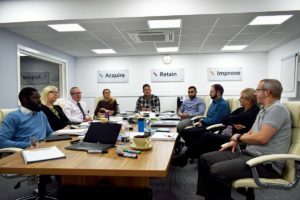 Crucially, we also provide the opportunity for team members to progress and make use of the skills they have acquired, creating the impetus for them to keep learning to further their professional development. The results have been impressive: across our Finance and Administration division, we have an average length of service of 10 years, demonstrating a clear correlation between training and skills retention. Firms have a responsibility to their employees and their businesses to ensure that they’re making the right investments in training and development, as well offering employees the chance to put these valued skills to work. Overcoming Yorkshire’s skills challenge won’t be easy, and it won’t happen overnight. But by starting from the inside, we’re in the best place to make a difference. Originally published in the Yorkshire Post’s Voice’s section.